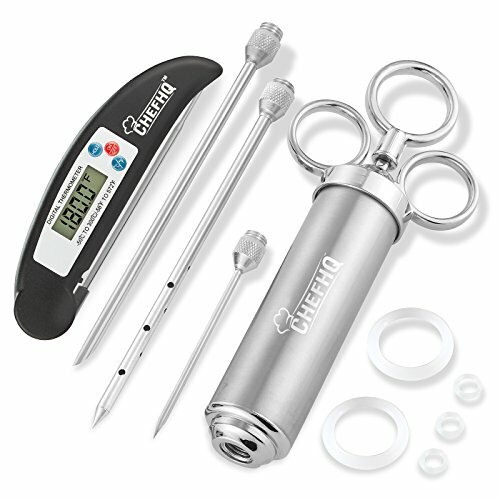 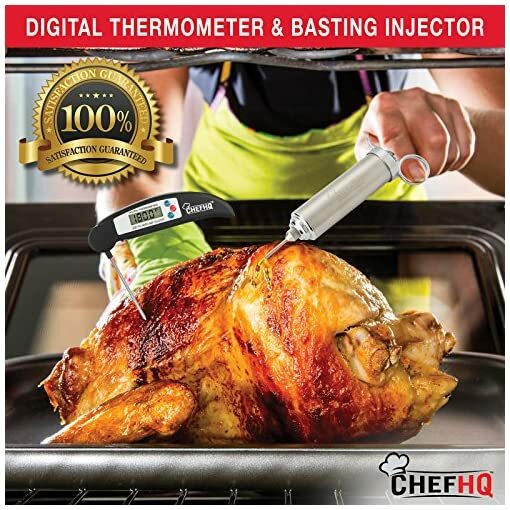 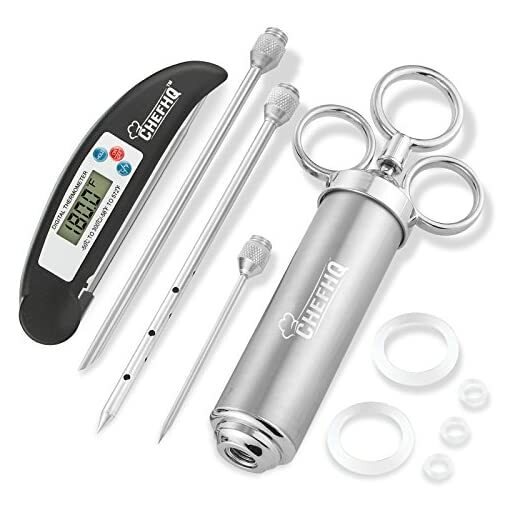 The CHEFHQ Marinade Meat Injector Kit with Meat Thermometer will infuse your meats with flavor. 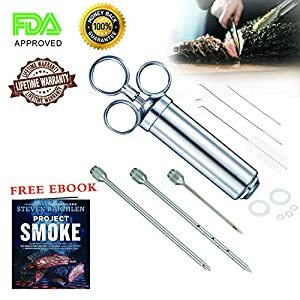 By inserting marinades directly into meat, rather than just brushing them onto the surface, you add moisture and flavor internally. This simple step easily adds professional level flavor in minutes for perfect poultry and the best beef. 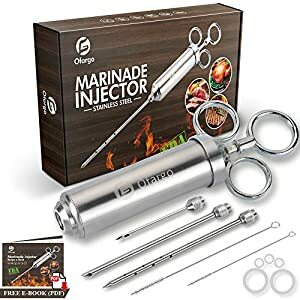 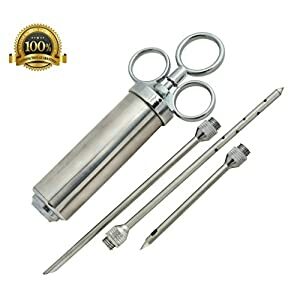 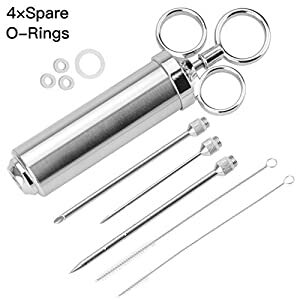 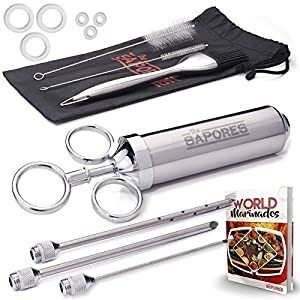 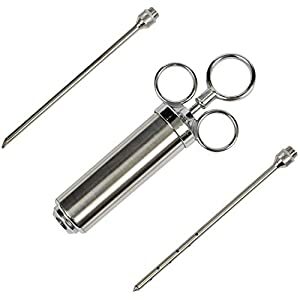 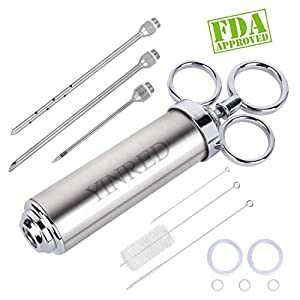 The 2 oz meat injector syringe and three sharp, metal needles offer options for a variety of meats and marinades, from fine liquids and thin pieces to chunky marinades and large, thick cuts. 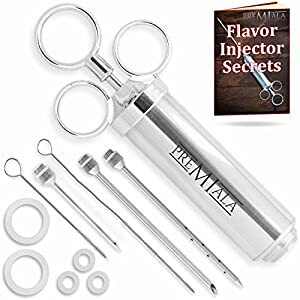 Stainless steel needle injectors add garlic and marinade to beef steaks and pork chops, brine and cajun seasoning to chicken and turkey, and more. 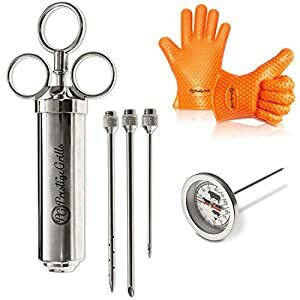 Whether you’re cooking on the grill or smoker, these BBQ meat smoking accessories are perfect for brisket injection and barbecue. 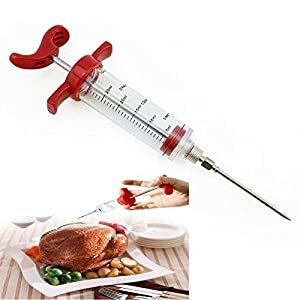 After the main course, use as a baking and food injector syringe to add jelly to donuts or cream to cupcakes. 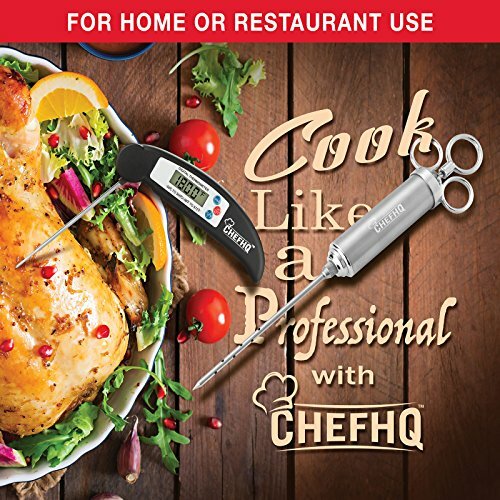 Enhance all of your culinary creations and inject flavor into everything from dinner to dessert!